After voting against Theresa May’s Brexit deal (for the second time) on Tuesday 12 March 2019, against no-deal on Wednesday 13 March, and against a second referendum on Thursday 14 March, MPs have voted in favour of a motion to extend Article 50, by 412 votes to 202. Although this does not automatically mean extension will happen, it is a politically and constitutionally decisive expression of the will of the UK Parliament. The motion instructs the UK government to seek an extension of Article 50 from the EU. What are the likely extension scenarios? Will the EU grant the UK an extension? How long would extension be for? 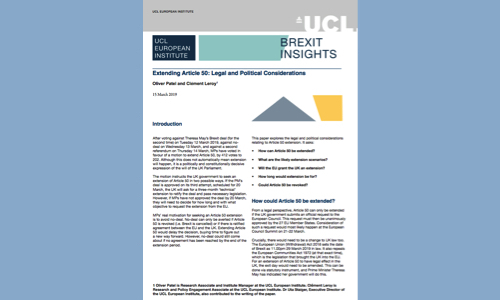 Could Article 50 be revoked?